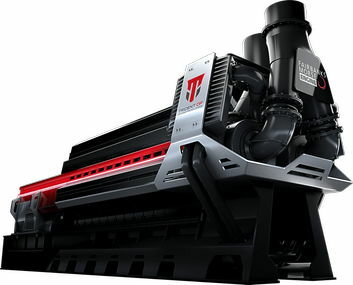 Engineered to endure, the Trident OP answers the need for higher efficiency power generation in a wide range of applications and represents a class-leading, next-generation engine. The Trident OP features an innovative design, combining smart-engine technology with an opposed-piston (OP) architecture. This unique and flexible design will allow for cost-effective customization to multiple situations or environments without sacrificing performance or efficiency. The Fairbanks Morse Opposed Piston (OP) engine has been designed and developed for a wide array of electrical power generation and heavy industrial applications. 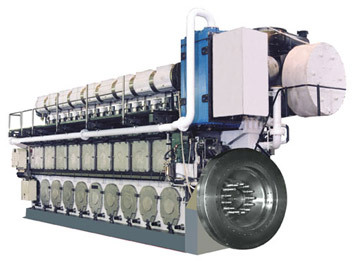 You will find OP engines propelling ships, driving locomotives, powering natural gas compressors, running chillers and pump drives, and producing electricity in a variety of marine and stationary applications. The FM/ALCO 251 F engine is universally recognized for its great reliability, high specific output, and low specific fuel consumption. This rugged 4-stroke engine is available in 6-, 8-, 12-, 16-, and 18-cylinder configurations and provides 500 to 2810 kWe of power. The Fairbanks Morse FM-MAN 28/33D range of engines has combined world-class engineering and state-of-the-art technology to produce the most powerful and fuel efficient 1000 rpm diesel engine in the world. 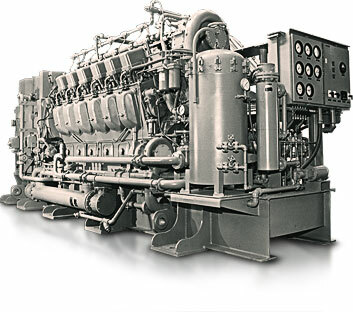 The FM-MAN 32/40 Dual-Fuel Enviro-Design® engine generator set is the first commercially available engine resulting from the alliance between Fairbanks Morse Engine (U.S.A.) and MAN Diesel (Germany). 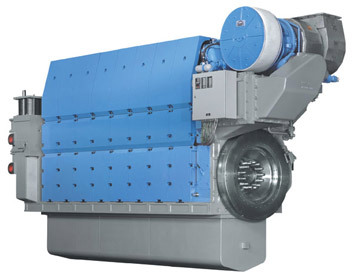 They are available in 12-, 14-, 16-, and 18-cylinder configurations for stationary power generation applications, covering a power range from 4,480 kWe to 6,720 kWe. The concept behind the FM-MAN 27/38 won the prestigious International Seatrade Award for Innovation in 1996. 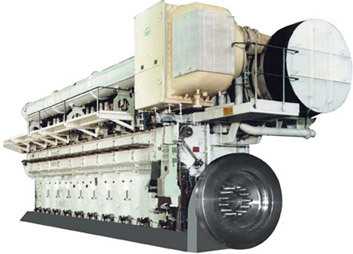 With its simplified and compact design, efficiency, few parts, and low maintenance requirements, the genset and propulsion versions of the 27/38 have the ability to significantly improve the effectiveness of any aspect of ship operations and/or cargo handling. 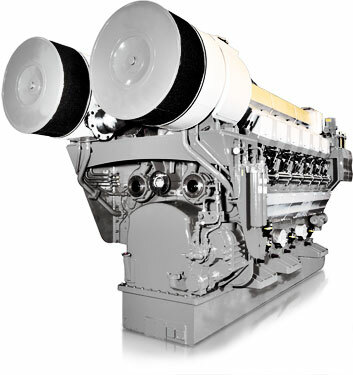 The FM-MAN 40/54 engine has accumulated over 2 million hours of successful operation in multiple applications. 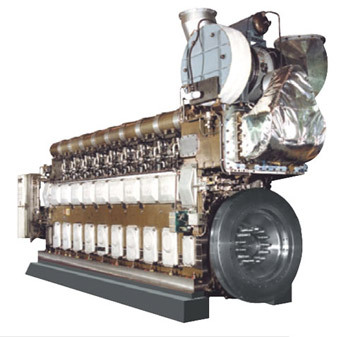 Due to the long term reliability and excellent efficiency this marine diesel engine offers, the FM-MAN 40/54 has been selected by the marine community to power numerous cargo ships, cruise vessels, ferries, tankers, and container ships around the world. 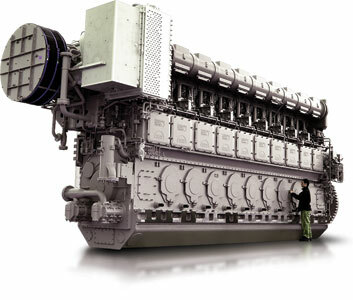 The largest engine of the FM-MAN engine line, the 58/64 diesel produces up to 1390 kW per cylinder in an in-line configuration. This configuration reduces maintenance time and is the merchant mariner’s choice. 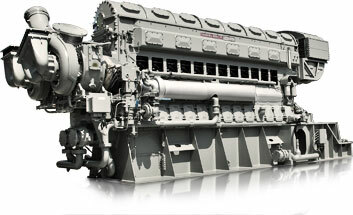 Over 635 FM-MAN 32/40 diesel engines have been sold to the marine industry since its introduction in 1985. With ISO certification and qualifications from ABS, Lloyds, Bureau Veritas, and DNV, the FM-MAN 32/40 sets the standard for quality and reliability. The FM-MAN 48/60 has over 270 engines in operation for marine and stationary applications. This medium speed diesel engine is available in both in-line and Vee configurations, which makes it a versatile engine for both propulsion and auxiliary applications.